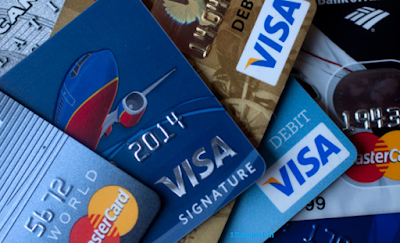 Are you looking for better credit card options? Well, there are very few people who know that LIC (Life Insurance Corporation) of India provides facility of credit cards. Yes, it’s true! LIC of India provides you different types of credit cards. Which are those? In this article, you will get all information about the types of LIC credit cards. Read the information given below. The Life Insurance Corporation credit cards are available in four different types. They are explained below. The LIC of India provides Gold credit and here are eligibility and features of the card. Eligibility for LIC Gold Credit Card– To avail this credit card, net income of the customer should be RS 1.8 Lakh per annum and above. In addition, the salary slip of Rs 15000 gross salary is also required. Salient Features – You get 100 reward points for Rs 100 spent on LIC premium payments and also international spends. Moreover, you get 1 reward point for every spent on other categories for Rs 100. The LIC of India provides titanium card that gives you great features like fuel surcharge refund and exciting rewards. Eligibility for LIC Titanium Credit Card – To get the LIC Titanium Credit Card, your net salary must be RS. 3 Lakh per annum and salary slip of Rs 30000 gross salary is also required. Salient Features – You get 2.5% fuel surcharge waiver at all petrol pumps of India. In addition, you get maximum advantage upto Rs 400 per month. You also get 2 reward points for Rs 100 spent on foreign currency and LIC premium payments as well. Moreover, customer will get 1 reward point for each Rs 100 spent on all the other categories. LIC of India provides LIC Platinum Card with great reward points and fuel surcharge refund. Eligibility for LIC Platinum Credit Card – To get this credit card, you must have a net salary of Rs 5 Lakh per annum and also provide salary slip of Rs 42000 gross salary. Salient Features – You get all the benefits same as the LIC Titanium Credit Card for LIC Platinum Credit Card. LIC of India also provides LIC Signature Credit Card that gives you great reward point benefits and this card lets you enjoy the essence of premium lifestyle. Eligibility for LIC Signature Credit Card – Your net income should be RS 15 Lakh per annum to get this card. Moreover, you need to provide salary slip of Rs 1.25 Lakh gross salary. Salient Features – You get 2 reward points for Rs 100 spent on foreign currency and LIC premium payments. Moreover, 1 reward point for every Rs 100 spent on all other categories. In addition, you get 2.5% fuel surcharge refund at all petrol pumps of India for maximum benefit of Rs 400 per month. Furthermore, you get complimentary access to choose airport lounges both within and outside India with your LIC signature credit card. These are the types of LIC credit cards with their eligibility criteria and features. If you have any doubt or questions regarding the LIC credit cards, please leave comment below in the comment box.